It may be Oor Wullie’s BIG Bucket Trail – but our exciting Education Programme will see hundreds of WEE Oor Wullie sculptures hit the streets in 2019 too! The wee sculptures will be painted by schools, nurseries and youth organisations, and will focus on the themes of art, citizenship, communities and positive physical and mental health. In the summer of 2019 the wee Oor Wullies will be displayed in community locations including libraries and community centres, before being returned to the school as a permanent memento of their involvement in the trail. 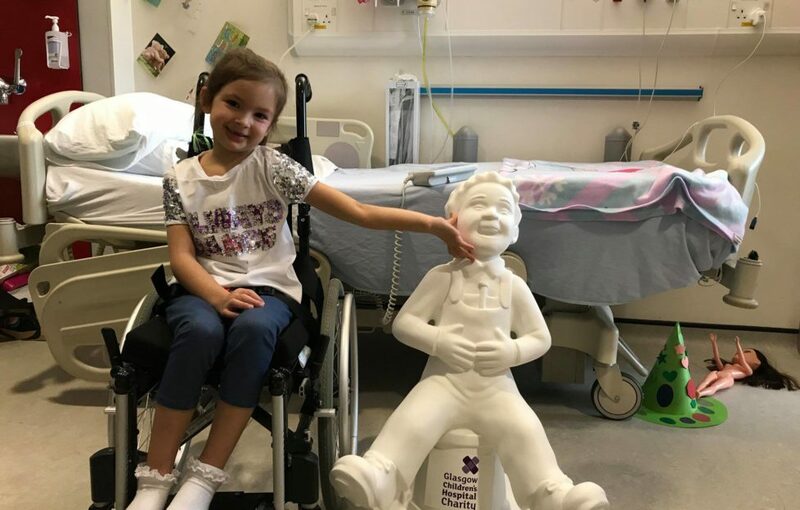 We visited some young patients in hospital who will benefit from the funds raised through Oor Wullie’s BIG Bucket Trail, who gave the wee sculptures their seal of approval! Teachers – if your school, nursery or youth group would like to be involved, please email hello@oorwullie.com with your details!